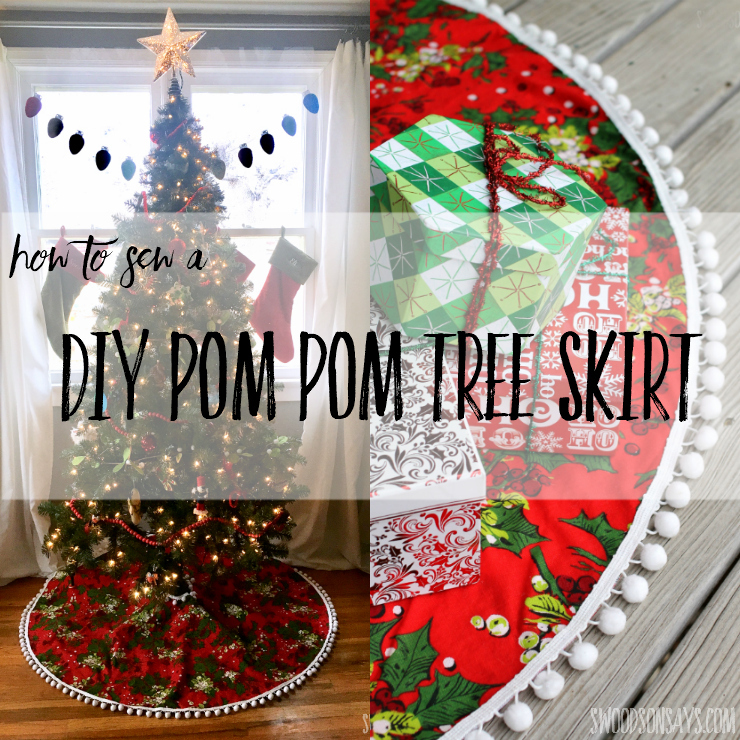 Fun, modern, Christmas DIY tutorial to create a Christmas tree skirt that is decorated with a pom pom edging. Such a cute little Christmas tree skirt that is so easy to make. See the full Sewing tutorial here.